As well as online shopping with free UK shipping, Ablekids Press now has a family-friendly shop and office on Market Brae Steps in Inverness. Open from Tuesday-Saturday (10am - 5.30pm), you are welcome to pop into our magical publishing world. 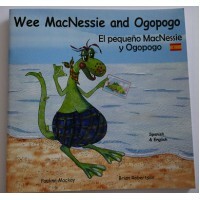 See our impressive range of language books and check out the Wee MacNessie T-shirts. 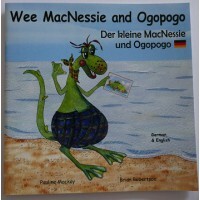 We now have the latest addition to our popular 'Wee MacNessie' series on sale in 5 language editions. 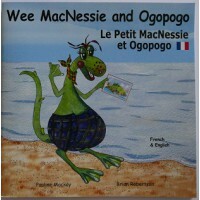 'Wee MacNessie and Ogopogo' introduces the Canadian equivalent of the Loch Ness Monster! 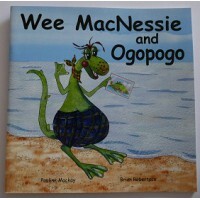 We have lots of exciting projects and new products lined up for this year so keep up-to-date by following us on Facebook @AblekidsPress and Twitter @WeeMacNessie. 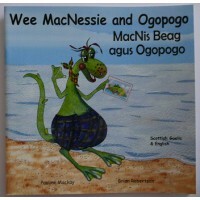 This is the fifth book in the 'Wee MacNessie' series.Auntie Morag arrives with belated birthday pres..